The year is 1583, and someone's plotting to kill Queen Elizabeth I. The Queen's spymaster turns to a brilliant young Cambridge student to untangle the plot: Chrisopher Marlowe. In 1583, the nineteen-year-old Christopher Marlowe---with a reputation as a brawler, a womanizer, a genius, and a social upstart at Cambridge University---is visited by a man representing Marlowe's benefactors. There are rumors of a growing plot against her majesty Queen Elizabeth I, and the Queen's spymaster, Sir Francis Walsingham, has charged young Marlowe with tracking down the truth. The path to that truth seems to run through an enigmatic prisoner held in complete seclusion in a heavily guarded dungeon in Malta. Marlowe must use every bit of his wits, his skills, and his daring to unravel one of the greatest mysteries in history and help uncover and unravel a scheme of assassination and invasion, one involving the government of Spain, high ranking English nobles, and even the Pope himself. Christopher Marlowe---Elizabethan playwright, poet, and spy---is one of the most enigmatic figures in Renaissance England. The son of a shoemaker from Canterbury, he attended Cambridge University on scholarship and, while frequently in trouble, was bailed out through the intercession of Queen Elizabeth I's Privy Council. 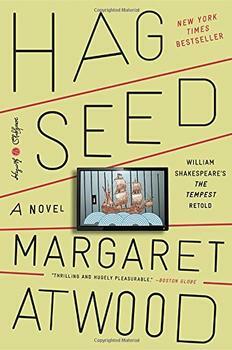 Long rumored to have been an agent on behalf of the Queen's spymaster, Edgar Award winner Phillip DePoy's new series brings Marlowe and his times to life. Christopher Marlowe stared at the newly mown lawn, and the tower of St. Benet's Church reaching sweetly toward God in morning's light. In the old graveyard, roses were blooming, even though March was cold. The tower was the oldest building in Cambridge, and Marlowe did his best to appreciate the ethos of grandeur and nobility. But the beauty of the day overtook him, and all his thoughts were light. He was nineteen, standing in Cambridge, about to go to class. He could scarcely believe his good fortune. A boot-maker's son was a rarity at any college. Everywhere students rushed; professors glided in stately manner. The grass, greener than a linnet's wing, collected sunlight against the advent of late frost: "nature's rarest alchemy, the golden bell of heaven's fire." Marlowe was a genuine man of mystery – and thus the perfect protagonist for a novel in which his shadowy associations, his ready wit, and his reputed swordsmanship are all called upon to save his own life and that of his beloved Queen of England. The first of a projected series of mystery novels featuring Marlowe, A Prisoner in Malta finds the dashing, romantic poet-playwright at his swashbuckling, wise-cracking best. And Edgar Award-winning author Phillip DePoy pulls out all the stops in the series debut, making full use of Marlowe's legendary rapier wit (and actual rapier wielding) in this frenetic and satisfying historical mystery/thriller. (Reviewed by James Broderick). Edgar-winner DePoy (December’s Thorn) transforms playwright Christopher Marlowe into a swashbuckling action hero in this solid first in a new historical series...DePoy piles on the twists and introduces some humor into the tense story line, which should find favor with Susannah Gregory readers. Ebullient persiflage spiced with high-level intrigue, a covey of double and triple agents, and enough action scenes for a summer movie. Eat your heart out, James Bond. Christopher Marlowe, Renaissance playwright and poet – and protagonist of Phillip DePoy's A Prisoner in Malta – produced a handful of dramatic masterpieces in his relatively short life. That is, if you believe he died at age 29 in a bar fight at a public house in Deptford, in southeast London. But some believe his death was staged and that he went on not only to live for decades abroad but also to produce the greatest dramas of all time – under the name William Shakespeare.